The lapping waves of the Gulf of Khambat along with the majestic splendor of art and architecture acquaint one to the most royal city of Gujarat. Bhavnagar located at the Southern tip of Peninsula Gujarat with its principle port Gogha as the entrance to the Gulf of Cambay, has been a predominant city for trade and commerce. The glimmering shine of gems to grandiose of the historical structures, vibrant bazzars flaunting the glory of textile artisans to the finesse of the silversmiths, centuries of ocean trade to the effervescent entrepreneurship spirit, this city offers ample amount of diversity for any tourist or visitor. Delicately carved wooden pillars to facades of the merchant houses display the magnificence and opulent taste and fervor of the inhabitants whereas the buzzing markets and the industries state the enterprising zeal of the populace. The intricately lattice work on the walls of Ganga Devi Mandir fills an feeling of awe in the spectator while the Takhteshwar Temple on the hilltop in the south of the town affords a good view over the city to the Gulf of Khambat in the South. The city known for being pioneer in rural children and womenâ€™s education field is also lauded for their efforts in social welfare. Bhavanagar is also known as the Sanskari Kendra or the Cultural city and is identified for its cultural ingenuity and the literary laureates who were born and reside in the city.Â Narsinh Mehta, Ganga Sati, Jhaverchand Meghani, Kavi Kant, Govardhan Tripathi and many other poets, writers and artists have been part of the cultural and literary heritage of the city. The Gohil Rajput of the Suryavanshi clan faced severe competition in Marwar. Around 1260 AD, they moved down to the Gujarat coast and established three capitals; Sejakpur, Umrala and Sihor. In 1822–1823, forces led by Khanthaji Kadani and Pilaji Gaekwad attempted to raid Sihor but were repealed by Maharaja Bhavsinhji Gohil. After suffering defeat, he realised the reason was the location of Sihor (old Bhavnagar). In 1823, he established a new capital near Vadva village, 20 km away from Sihor, and named it Bhavnagar. It was a carefully chosen strategic location because of the potential of maritime trade. 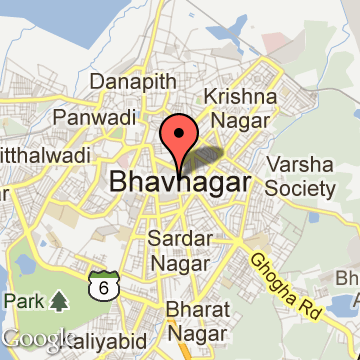 Naturally, Bhavnagar City became the capital of Bhavnagar State. The old town of Bhavnagar was a fortified town with gates leading to other important regional towns. It remained a major port for almost two centuries, trading commodities with Africa Mozambique, Zanzibar, Singapore, and the Persian Gulf. The current Royal Family of Bhavnagar comprises Maharaja Vijayraj Singh Gohil and Maharani Samyukta Kumari, Prince Yuvraj Jaiveerraj Singh Gohil and Princess Brijeshwari Kumari Gohil. Bhavnagar Tourism - Get all information on Bhavnagar tourist places and sightseeing tours. Our website helps you plan your next tour and gives you great ideas on what to do, where to eat, where to stay and when to go there. We give the best information from the web to give you precise, meaningful and useful travel guide for leading places to visit in India and from across the world. Our travel information on BHAVNAGAR tourist places, tourist attractions, major sightseeing, the best time to visit, the top places to visit in Bhavnagar, the must-see things to see and do, maps, restaurants, hotels, nearby tourist destinations, local public information and more. 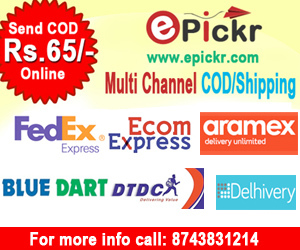 To start with check out information on how to reach Bhavnagar.